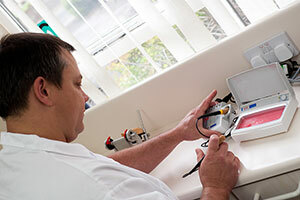 A Clinical Dental Technician or CDT registered as a dental care dental professional DCP with the general dental council in the UK. While some CDTs work as part of a multi-disciplinary team within a dental practice, many operate from their own independent clinic, or work across areas and regions with trusted practices. As dental professionals who only work on dentures you can rest assured that the quality and service you receive will be second to none.